Quarter four is the best time to grow your business. Why? Because people have a ton of problems that they need solving. They are overwhelmed, they are stressed to the max, they are looking to start fresh with the new year. Maybe they are desperately looking for ways to save money on traveling home for the holidays or buying presents. Maybe they are looking for that perfect recipe or gift to get for their loved ones. The thing about knowing your reader is struggling is that it gives you the perfect opportunity to help them. Solve their problem. Meet them on their level and hit that felt need. Doing so will not only help your reader and help you establish a relationship with them but it will actually help you grow your business and set you up for a killer start to the new year. 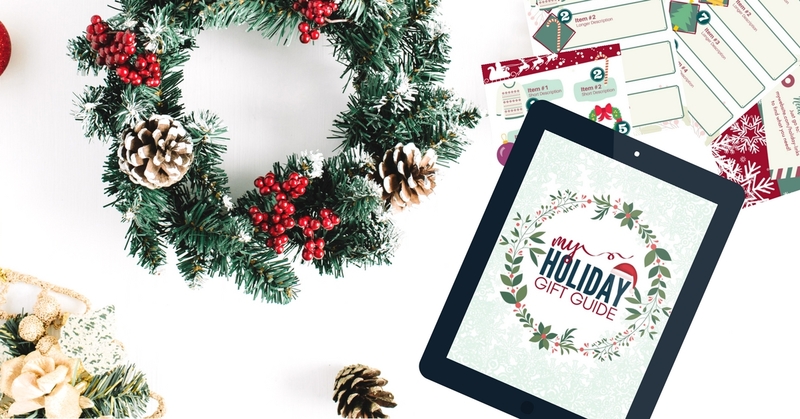 A gift guide is a perfect way to leverage holidays for business growth. In almost every niche, people are looking for gifts for the holiday season and they are likely pretty stressed out about it. Personally, I hate buying people gifts. It’s not even the money aspect of it, it’s thinking about what to get them and hope they like it. SO, if someone gave me a list of things that would be thoughtful and awesome to get him, I’d be all over it. On the flip side, I’d love a guide that has a bunch of stuff that I want to send to him because I’m just as bad when it comes to picking out gifts for myself or even my kids (they are too little to make their own lists). It’s important when promoting anything (from freebie to product or affiliate offer) that you hit your audiences felt needs. I’m not saying to get that dramatic at the holiday season but hit their pain point in a holly, jolly way. Use your gift guide as a content upgrade. Promote it on social media, share it in relevant Facebook groups, set up a paid ad promotion. 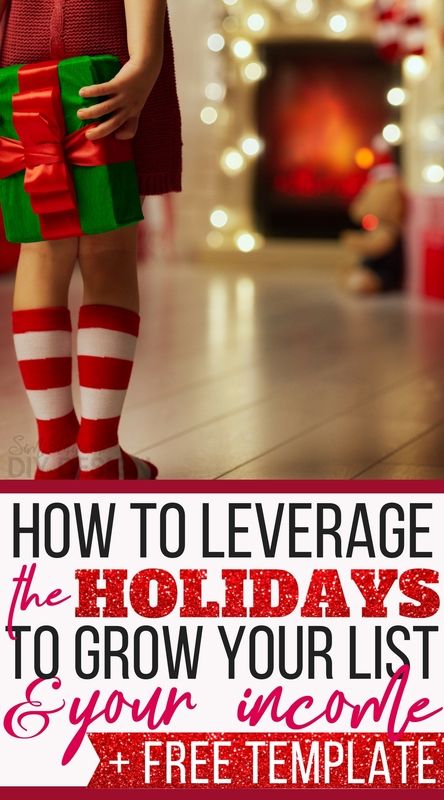 Get eyes on it, and do it approximately 1-2 months before the actual holiday (depending on your audience). The bottom line is that this should be a free download to get people on your list, not a blog post. Blog post gift guides will boost your traffic a bit through the season but when that traffic dies down, you are left with nothing. If those people are on your list, then you have them after the season is over and you can start nurturing them and turning them into raving fans. 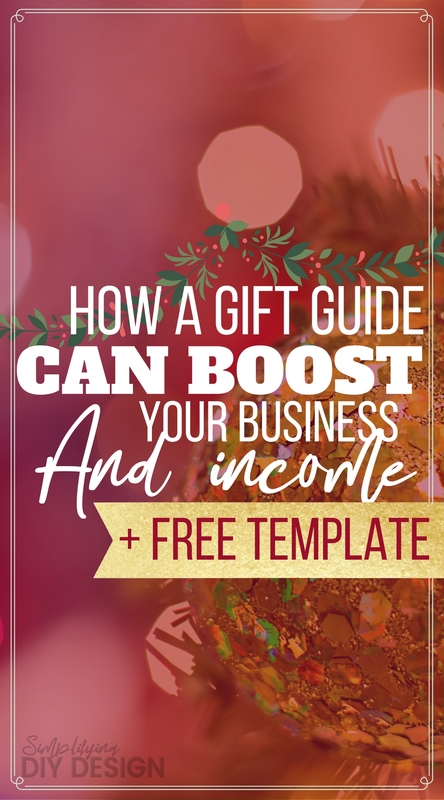 A huge benefit of a gift guide is that it is an opportunity to grow your income. People sign up for gift guides because you have done the work for them when it comes to thinking of the perfect gift. They are strapped for time and they are wanting a quick way to buy a gift. This means they will be more likely to click that affiliate link. Now, most affiliate programs are okay to put into a PDF but Amazon is not. So, I generally recommend when designing your gift guide, make a page on your blog with the links to those products. On the last page of your gift guide, include the link for that page. It’s a little loophole that will help you stay in Amazons good graces while still letting your earn affiliate income. Not only are you solving your readers problems, but you are retaining them on your list for future growth and also opening up the possibility for a nice Christmas bonus in affiliate or personal product income. Another way to increase your income (and do so in an automated and passive way!) from a Holiday Gift Guide is by creating a Holiday or seasonal product that you can offer as a tripwire! Want to learn all about tripwires? Check out my Tripwire workshop and learn how to create, design, and set up a tripwire! 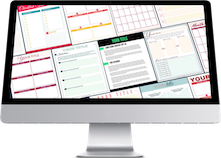 The template will save you a ton of time- it’s already designed. You just have to simply make a copy and then change the colors, fonts, and replace my cartoon product images with the products you want to promote in your gift guide. Add descriptions of your products and any links and you are done. Save it as a PDF and start promoting. 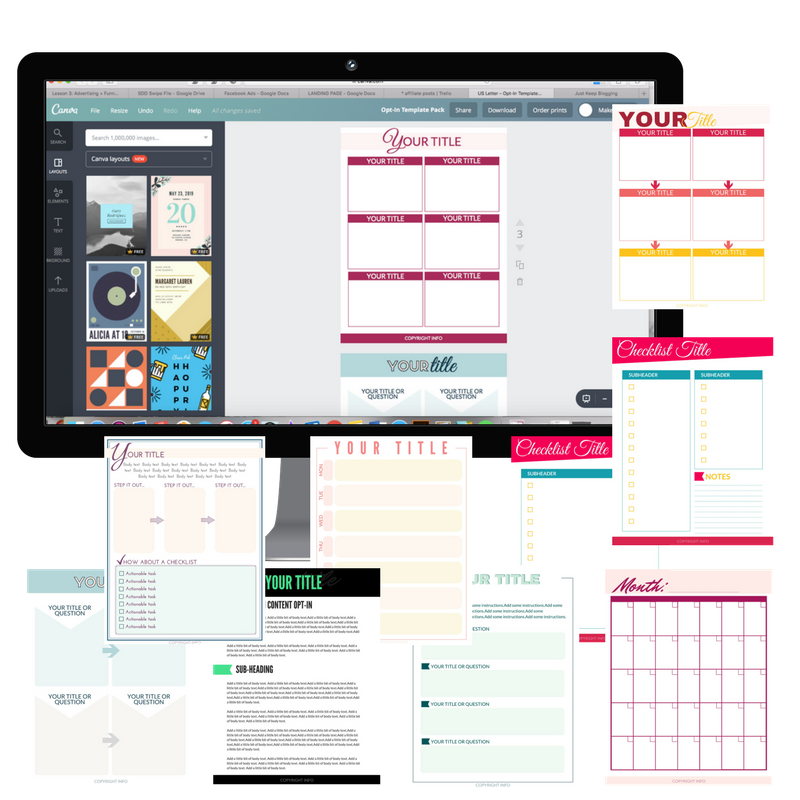 Get it designed, get it out there, and start growing your business so you can ROCK the next year! 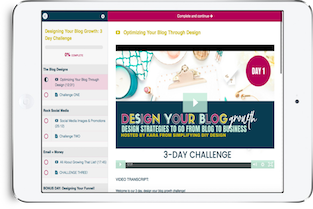 « The Canva Alternative Every Blogger Should Know About + Giveaway! I love this post and your tips are awesome! Thank you for the template. Oh, and my husband is the same way about gifts! Thanks Alicia! I’m glad it was helpful!! 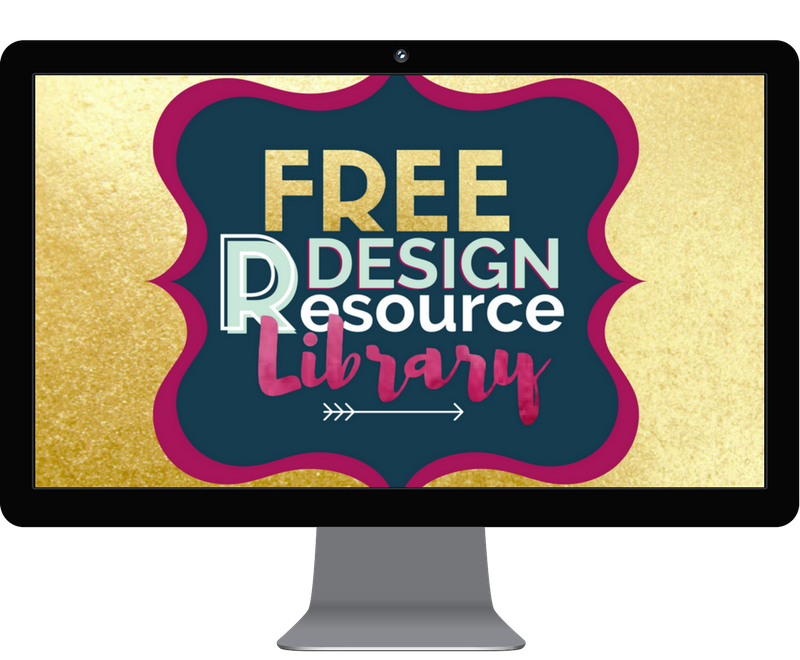 FILL OUT THE FORM TO BE ADDED TO OUR EMAIL LIST AND GET INSTANT ACCESS TO OUR DESIGN LIBRARY WHERE YOU WILL FIND THESE TEMPLATES + ALL OF OUR OTHER TEMPLATES, TUTORIALS, + TOOLS! 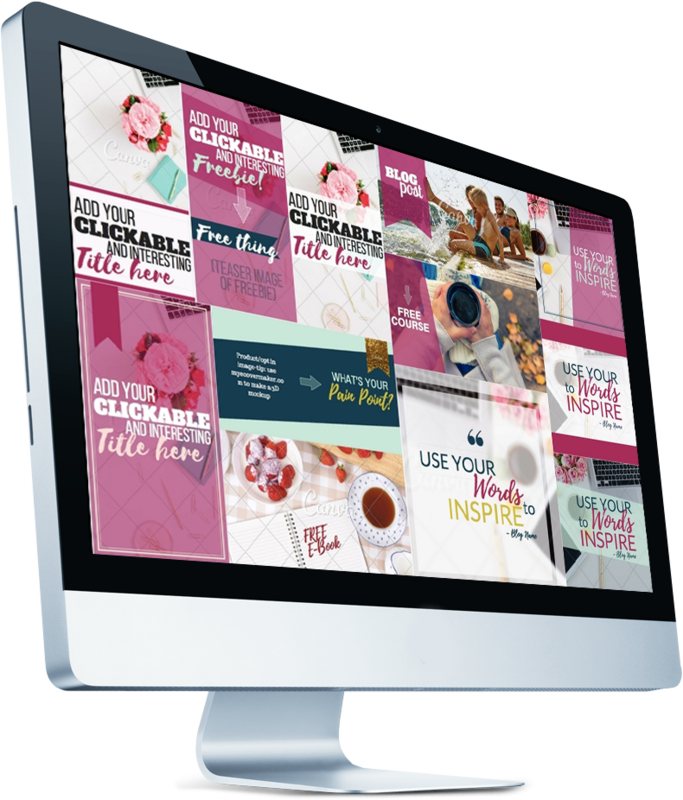 Designed-for-you social media Canva + Photoshop templates that jump off the page + get more clicks!